This issue finds the very cold (literally) and mysterious Declan attempting to explain to the extremely confused Reece what the hell is going on. Declan has been in an essentially comatose state for years when he suddenly snaps out of it. As he and Reece walk around the city she begins to demand answers, but with each of Declan’s “answers”, Reece understands less and less. Declan is very hands on and decides to show Reece rather than tell her. We also see a man who knows Declan and seems, to put it lightly, off. This guy is wreaking havoc throughout the city and Declan knows that he and Reece need to make a quick getaway before the crazy mystery man catches up with them. In a quick instant we learn that Declan and this man have a very long history. Longer than expected! This comic is pretty awesome, it’s interesting and very different from anything I have ever read. Reece is assertive but at the same time she is freaking out and Declan is calm but cryptic. Both of these characters play off of each other very well. 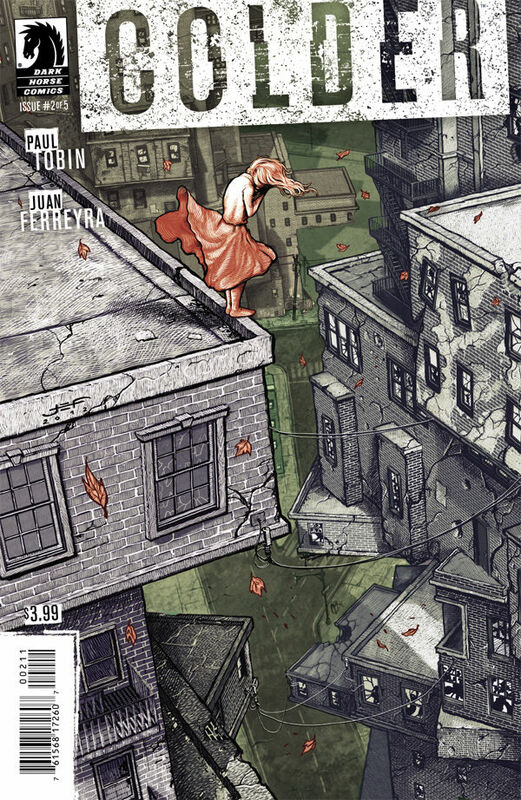 Juan Ferreyra’s art is great, I really loved it and especially loved the monsters! The writing is great as well. In a kind of confusing story the dialogue really keeps everything on track. I’m not sure where this story is going but I’m excited to take the ride! 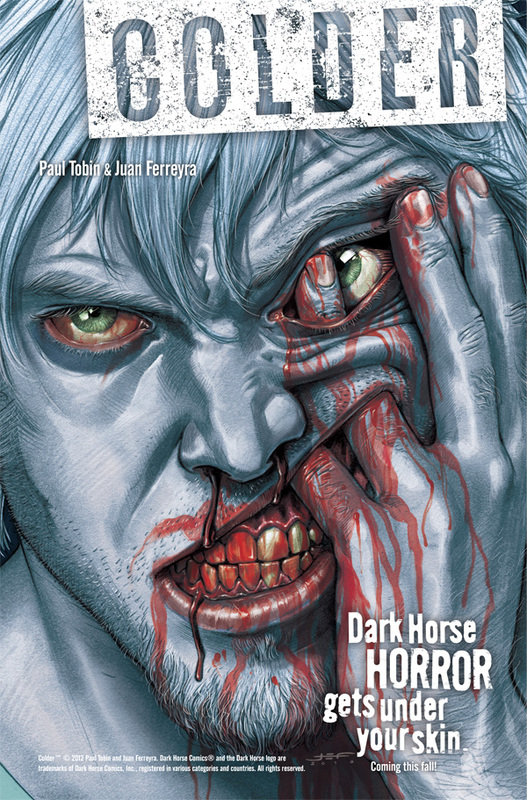 Dark Horse Horror Gets Under Your Skin With New Series……. Dark Horse is bring us a new horror comic title “Colder” it will be a five issue series, Writer Paul Tobin (Falling Skies) and Artist Juan Ferreyra (Falling Skies, Rex Mundi) team up once again..
“Colder” will be on sale Nov 7, keep an eye for this series, it looks like it’s going to be interesting! Declan Thomas’s body temperature is dropping. He never gets sick, never feels pain. An ex-inmate of an insane asylum that was destroyed in a fire, he has the strange ability to step inside a person’s madness and sometimes cure it. He hopes to one day cure his own, but time is running out, because when his temperature reaches zero . . . it’s over. • From the creative team behind the Falling Skies comic! • A new horror comic in the vein of Locke & Key and Preacher. 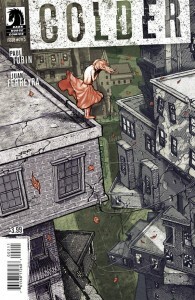 Posted on August 7, 2012 August 7, 2012 Author Anthony DavisCategories News, Press ReleaseTags Colder, Darkhorse, Falling Skies, horror, Juan Ferreyra, Locke & Key, Nov7, Paul TobinLeave a comment on Dark Horse Horror Gets Under Your Skin With New Series…….